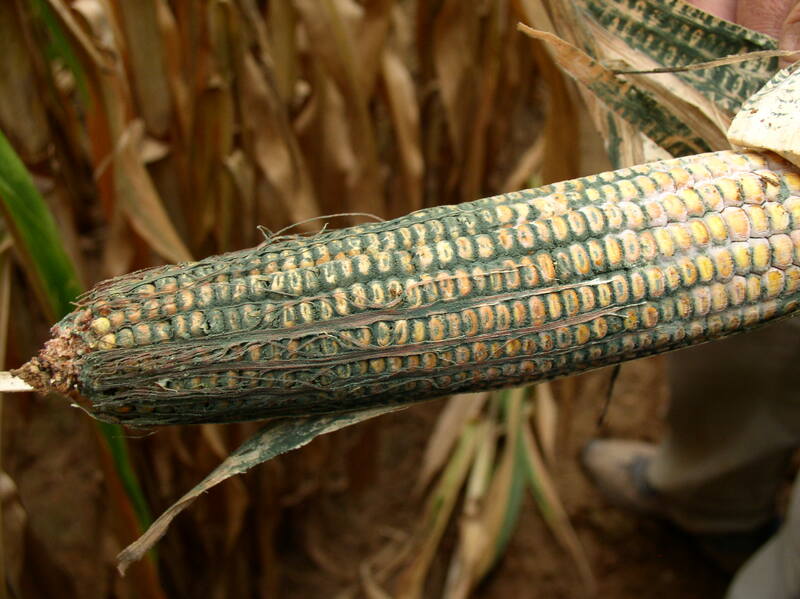 Trichoderma ear rot is caused by the fungus Trichoderma viride. 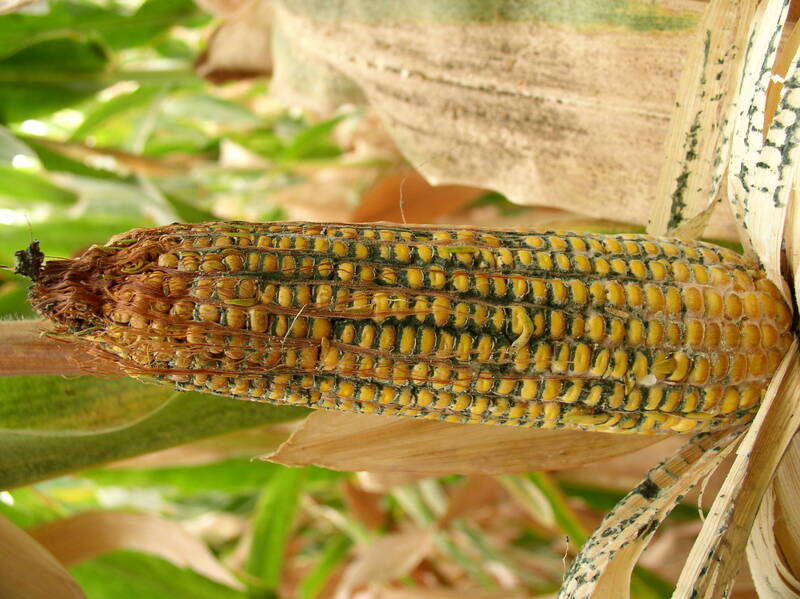 It appears as dark green mold growing on or between kernels, often covering the entire ear. 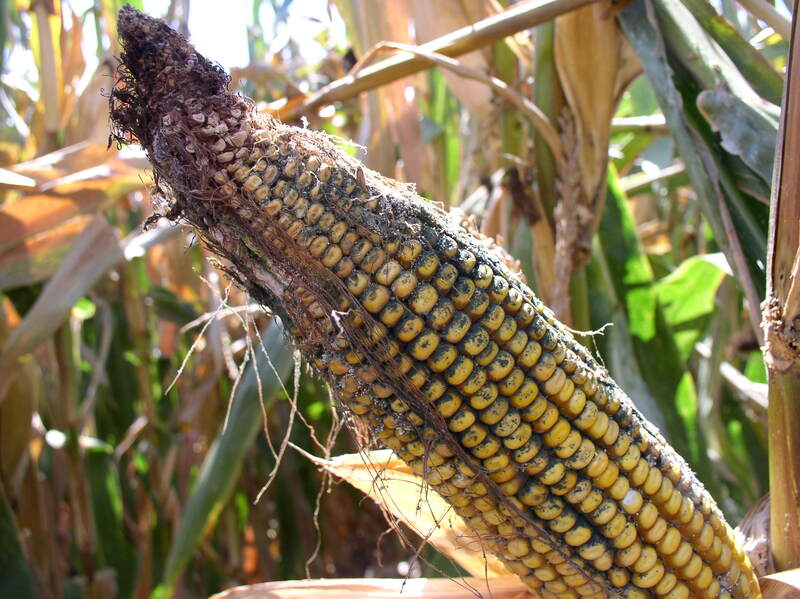 Kernels may sprout on the cob if disease is severe. It is primarily found on scattered plants under severe stress and is associated with injury to developing ears. Typically, it is not economically damaging. 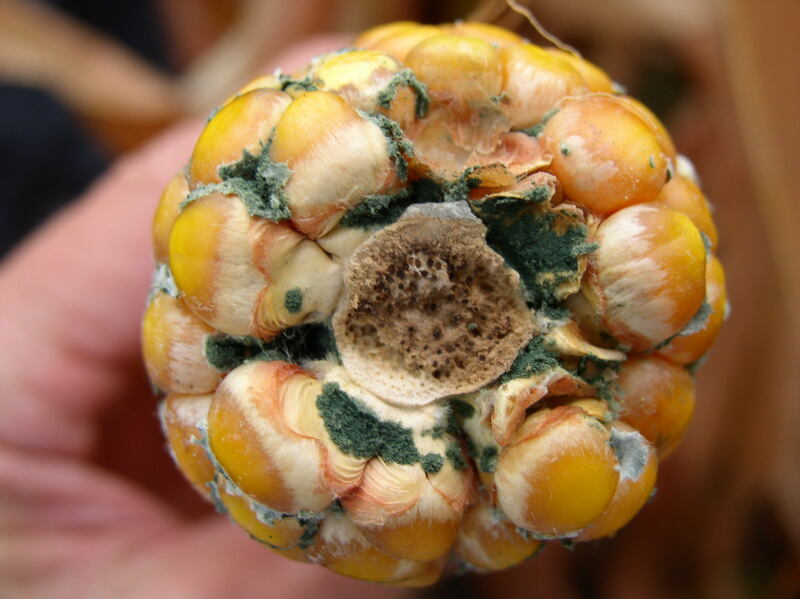 Trichoderma ear rot infection can result in dark green mold covering the entire ear. 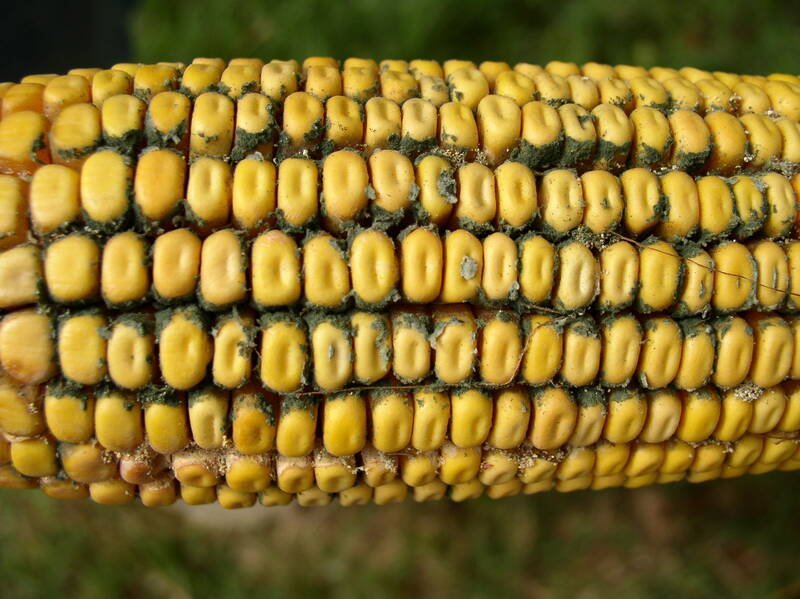 Dark green mold growing between kernels is a sign of Trichoderma ear rot. Trichoderma ear rot often covers the entire ear. 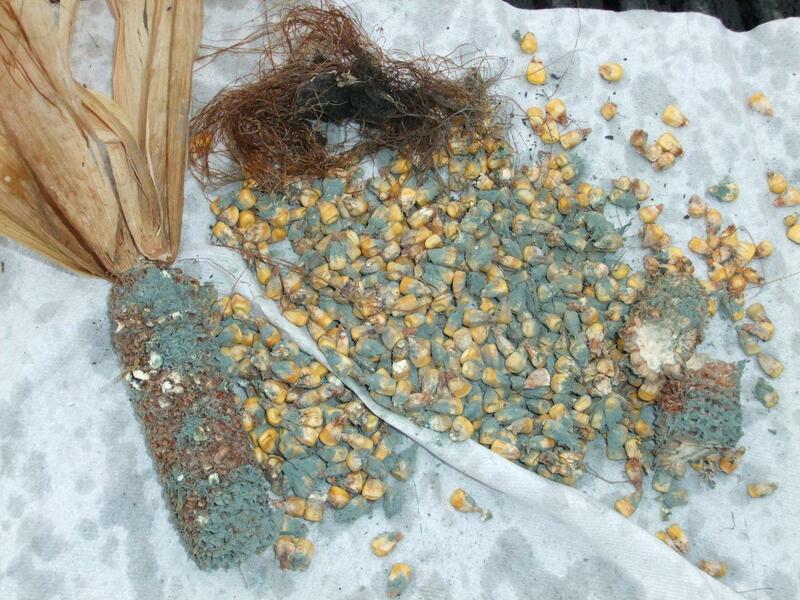 Trichoderma ear rot signs on kernels and cob. Trichoderma ear rot signs on the bottom of the ear.